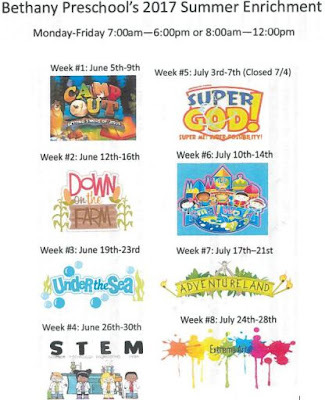 Summer Program Packets Are Available! 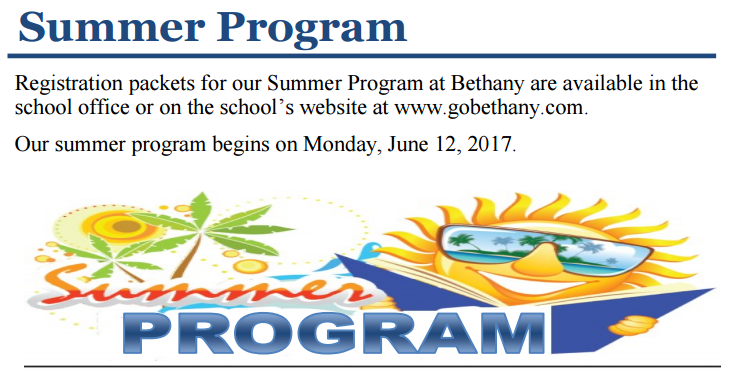 Summer Program begins on Monday June 12th, 2017. Next Week Is “Spirit Week” At BLS! Following is a list of the day’s theme for Spirit Week as chosen by our BLS Student Council. PLEASE NOTE: Next week is not a “free dress” week. Those students choosing not to participate in the theme of the day during Spirit Week may wear their grey spirit shirt and jeans or their regular school uniform. As always, modesty and good taste must prevail. Please consult the Parent/Student Handbook if you have any questions about the appropriateness of your student’s clothing. All of us at BLS would like to extend a special thank you to Mrs. Stephanie Ornelas and Mrs. Shannon Timmons for taking on this year’s Spring book fair Happy Camper Book Fair. You did an amazing job and our students loved it! We also want to thank the amazing group of parents and former parents who volunteered and worked alongside Mrs. Ornelas and Ms. Timmons. Without all of you, this year’s book fair would not have been possible. This year, over $2,800 in Scholastic Books were sold at our book fair. That puts approximately $1,500 back into books and materials for the classrooms at BLS! So, “Thank you,” to all of our families who supported our book fair and your student’s love for reading. Congratulations to Marshal Gildersleeve for being the best dressed camper last Friday. Marshal took home the tent that was displayed at the fair and a brand new book! Healthy heart month crafts are a great way to teach preschoolers the importance of healthy living. Learn about healthy heart month crafts for preschoolers with help from the co-founder of an organization that provides quality care and education to young children in this free video clip. It doesn’t seem possible but we only have four weeks of school left! your hours. There are fewer and fewer opportunities as the school year comes to a close. 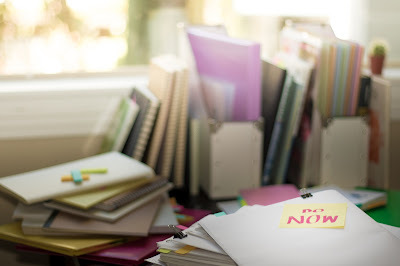 However, there are a few opportunities coming up that will allow you to complete some of your hours, (i.e., helping teachers, lunch help, talent show, field trips, End-of-Year BBQ, etc.). It seems there may be some confusion about how credit is given for your Partnership Hours. In order to receive credit for your completed hours, YOU MUST record the hours on the Partnership Hours form, including the date, activity and/or job description and the number of hours. A BLS staff member or event coordinator must then initial that hours were completed. The completed forms are then turned in to the school office so they can be recorded by Student Billing. 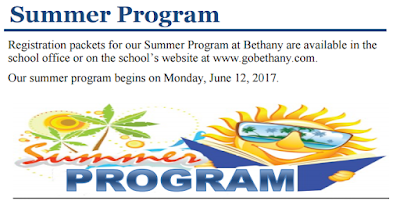 Partnership hour forms are available in the rack outside of the school office or on the school’s website at www.gobethany.com. All Partnership Hours for the 2016-2017 school year must be submitted to the school office by June 15, 2017. If you have completed your required number of hours for the 2016-2017 school year, there is no need to continue recording them…you are finished! Thank you for partnering with us and your continued support of the mission of BLS! Summer Program Is Just 1 Month Away! As Proverbs 22:6 says, "Train up a child in the way he should go, even when he is old he will not depart from it." Training up a child in the way he should is ultimately the responsibility of the parents of the child. 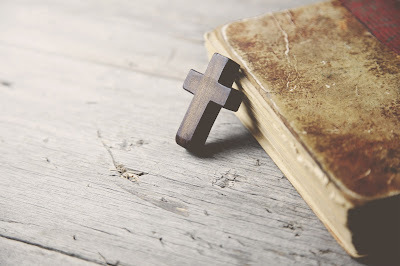 And this training must go far beyond Sunday school and youth group! Sending our children to receive Christian educations is one way to fulfill our responsibility to the call of God for our children. This Week! Happy Camper Book Fair! Our Spring Book Fair is on the calendar for May 8—12. 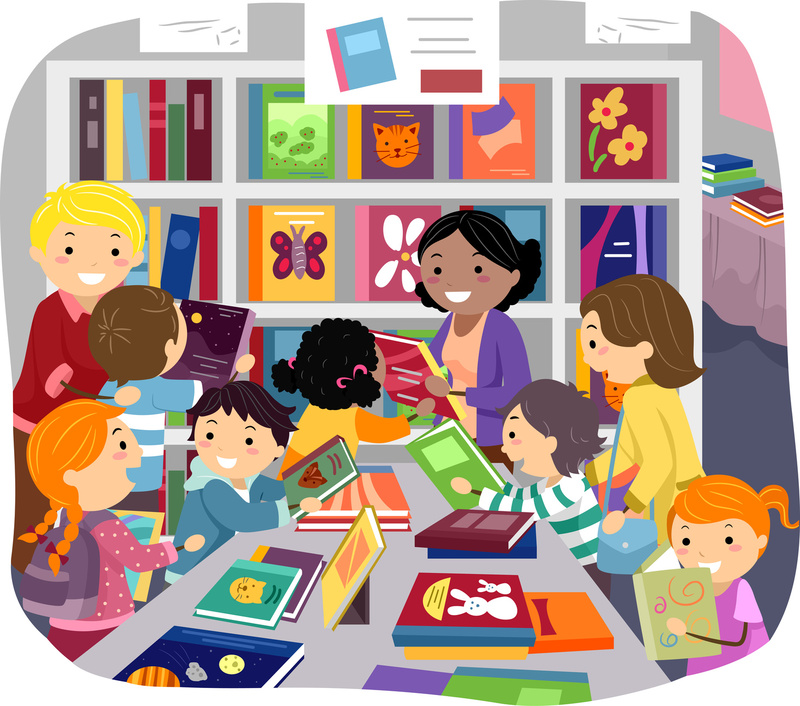 This book fair focuses on importance of keeping students reading during the summer months. Statistics have shown that continued reading during the summer prevents the backwards slide that can occur during the summer. This is an excellent way to complete all of your Partnership Hours and many volunteers will be needed for the fair to be successful. If you would like to help with this amazing event, please contact the school office at 451-6683 or by email myschool@gobethany.com. 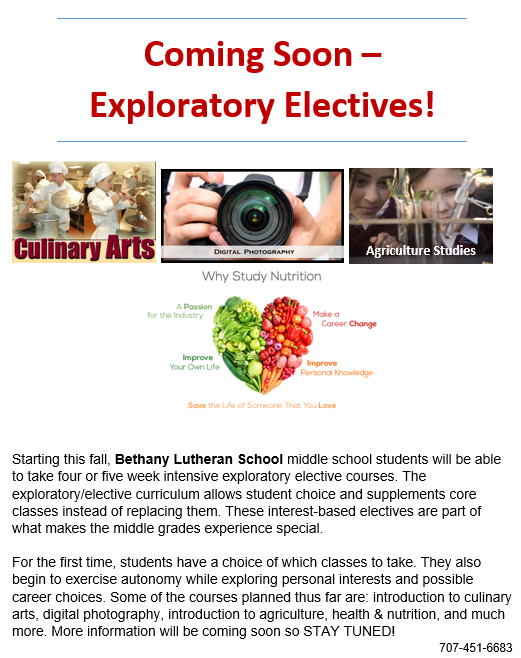 COMING SOON: Exploratory Electives At Bethany! 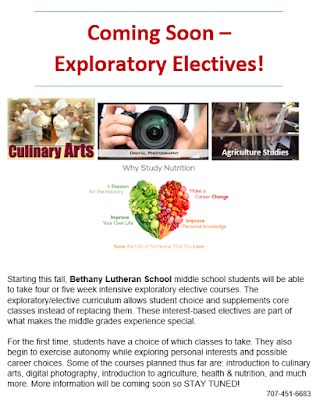 Starting this Fall, Bethany Lutheran School middle school students will be able to take four or five week intensive exploratory elective courses. The exploratory/elective curriculum allows student choice and supplements core classes instead of replacing them. These interest-based electives are part of what makes the middle grades experience special. For the first time, students have a choice of which classes to take. They also begin to exercise autonomy while exploring personal interests and possible career choices. Some of the courses planned thus far are: Introduction to Culinary Arts, Digital Photography, Introduction to Agriculture, Health & Nutrition, and much, MUCH more! More information will be coming soon so STAY TUNED!